I’ve been there: Bored. Annoyed by the lack of challenge that I was feeling in my career as a teacher. I’ve also been here: Frustrated. Struggling with the fact that all students want to do with technology is play and consume. But, that all changed when I decided to become an expert by learning all that I could about certain pieces of educational technology. For me, it was Seesaw Learning Journal and G Suite for Education Tools, but your mind would be blown by all of the opportunities there are to become an expert in even more platforms that you and your students use each and every day. Well, guess what… even ‘experts’ feel like imposters, fakers, and lack the time needed to learn new things. When we begin to fall into daily routines that are less than stimulating, do the bare-minimum, and don’t use our full potential, that’s where either Worn-Out or Under-Challenged Burnout can creep in. Is your favorite time of day teaching reading or writing? Then consider an app or website that you’ve used in the past and decide how you can a) use it more often b)use it in a new way c)show other teachers how they can use it and love it too. Short on time (aren’t we all)? Then master a productivity tool like Trello, Google Keep, or Google Calendar to help you become the most punctual, productive, and organized teacher you’ve ever been. Then, teach other teachers your secrets. I’ll be really honest here. The only reason I wanted to become Google Certified and become a Seesaw Ambassador was to GET ME SOME BADGES. Here’s the thing… adults and kids are no different when it comes to enjoying a little pat on the back and having a little something to show off to their friends and family that shows they went out of their way to learn something new or accomplish a new goal. Don’t fight it… you know you want one. You too, can become a Seesaw Ambassador! + so many more! If you use an edtech platform regularly, there is probably a way to become an expert and get recognized for it. Not into badges? Not a problem. DO YOUR THING ANYWAY! Here’s the thing… you can also bring the love of recognition by using badges into your own classroom! There are a lot of platforms out there to help you create your own badges for your students as they move through units of study, cross milestones in their learning, and master tough standards throughout the year. Simply search the term “resources for creating badges in your classroom” and BOOM! you’ll be offered many different places that can either teach you to make your own, or print some that have already been made. You can also create your own badges for or with your students in Google Slides or Drawings and print them out or make them digital. 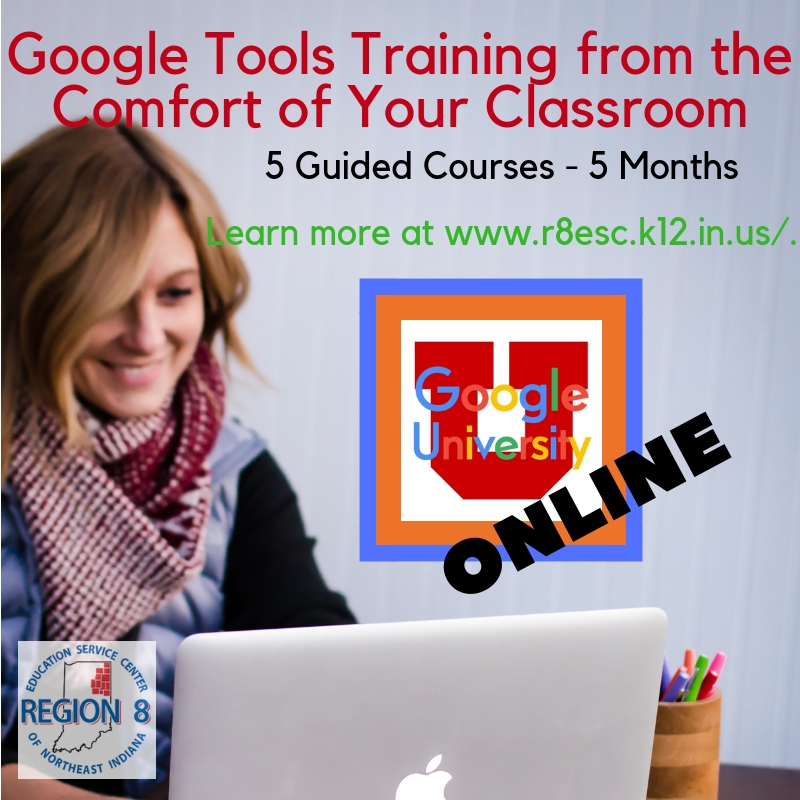 Google University Online Guided Courses!